When Jesus returned home and taught in the synagogue, his reception was lukewarm at best. After all, this was the hometown boy they all knew as a child and youth; how could he have any relevant wisdom to pass on to those who knew him when? Jesus marveled at their unbelief, yet God often sends to us signs and messages from the least likely sources. The better part of faith is learning to hear and see God’s presence in the unexpected, the too-familiar, the taken-for-granted. So God came to us in human form, the Word made flesh in a hometown boy who embodied God’s supreme message of forgiveness, reconciliation, and salvation. Prayer: Lord God, keep our hearts open to receive your Word as he comes to us in ways we may not expect, that we may be blessed by your holy presence in every aspect of our lives. Amen. 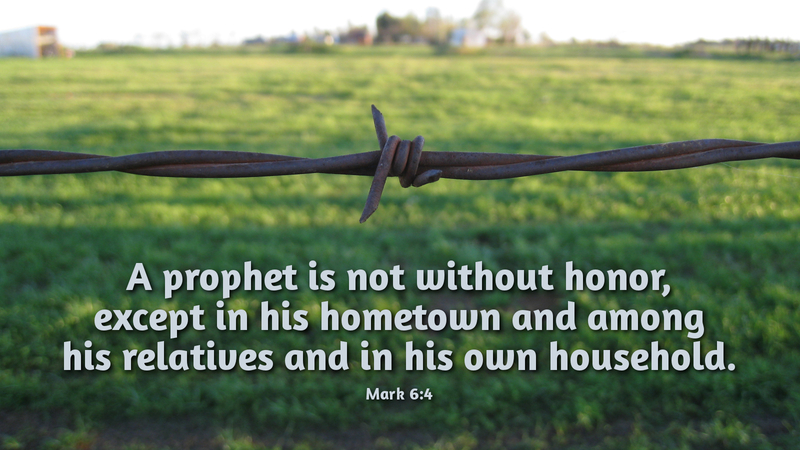 Today’s devotion was written by Marty Ramey, interim Pastor of St. Luke’s Lutheran Church, Monroe, NC.